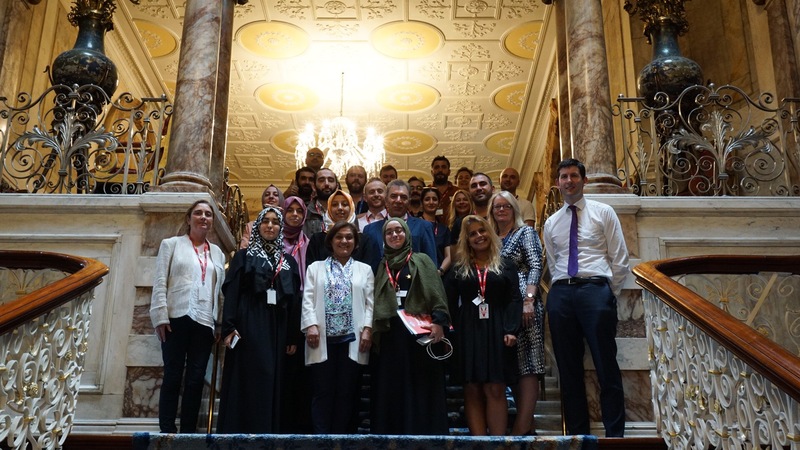 From 1-5 August 2018, the Democratic Progress Institute carried out a Comparative Study Visit to Ireland and Northern Ireland that brought together a group of young participants from across Turkey’s many constituencies. Participants were exposed to the experiences of the Northern Ireland conflict and peace process through a carefully designed programme that introduced concepts and practices of resolution processes as well as providing a platform to discuss the positive contribution that youth specifically can make to such processes. This meeting brought together mostly young figures with diverse professional and political backgrounds from across Turkey including political party’s youth representatives from AK Party, CHP and HDP, civil society workers, high school and university students, journalists and social workers. DPI’s first ever youth group benefitted from an introduction to the Northern Ireland conflict from Prof. David Mitchell from the Irish School of Ecumenics at Trinity College before an engaging session with the Aine Hearns, Director of the Conflict Resolution Unit and Eoghan Duffy, Ireland, United Kingdom, and Americas Divison at the Irish Department of Foreign Affairs. This was followed by a lively programme designed and delivered by Pat Hynes and colleagues at the Glencree Centre for Peace and Reconciliation providing a comprehensive overview and in-depth analysis of the origins and dynamics of the conflict and eventual peace process in Northern Ireland. In Belfast, highlights of the CSV programme included an interactive session at Youth Action, with Deputy Director Martin McMullan involving young people and youth workers from Northern Ireland, as well as a tour of the interface areas in Belfast, which was followed by a meeting with former political prisoners from all sides of the conflict. Participants were also delighted to be welcomed at Stormont Castle, the home of the Northern Ireland Executive office, and at the Northern Ireland Office at Stormont House. In addition, participants had the chance to discuss the role of women in the Northern Ireland peace process with a founding member of the Northern Ireland Women’s Coalition Avila Kilmurray and reflect on concepts of shared societies and social inclusion with independent consultant Clem McCartney. This CSV fully immersed participants in the experiences of the peace process that took place in Northern Ireland. It allowed them the opportunity interact with key actors from that process but also with those involved in overcoming the lasting effects of the conflict in modern-day Northern Ireland. Our particular focus on youth highlighted the increasing attention given to young people and their ability to act as agents of change amongst divided societies. This was the first meeting centred on youth engagement in conflict resolution process hosted by DPI with future activities forthcoming to build upon the discussions and topics of this seminal visit. The visit was hosted with the kind facilitation of the Irish Department of Foreign Affairs and Trade. The CSV forms part of a larger series of activities planned in the context of the project: “Supporting inclusive dialogue at a challenging time in Turkey”. Future activities include ongoing roundtable meetings and comparative study visits planned within Turkey and other parts of the world, including countries that have had peace processes.